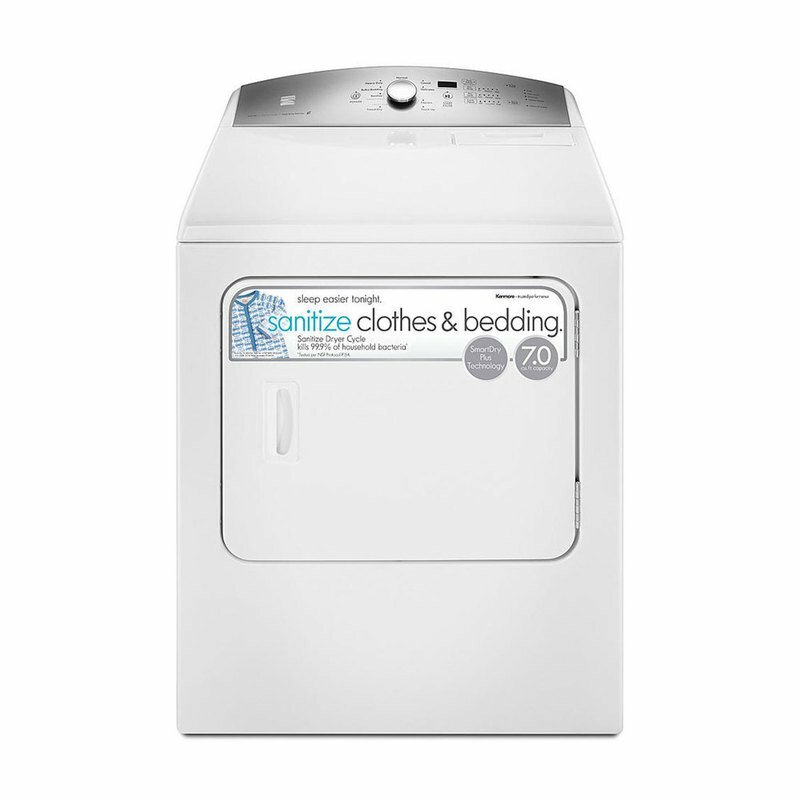 Spend less time trying to get your laundry dry and let the Kenmore 76132 Gas Dryer with SmartDry Plus do the work for you. A simple yet chic design gives your laundry room an updated look and gives you at-a-glance updates about the current cycle, so you can spend less time babysitting the dryer. The Right Amount of Dry - Choose from 5 different heat levels, including Air Dry, to get your clothes and fabrics the right amount of dry. SmartDry sensing uses 2 moisture sensors to monitor dryness levels throughout the cycle and to adjust temperature and dry time so you won’t be stuck with over-or under-dry clothes.